The new Artisan Trombone Collection is the newest and most exciting development in Bach Stradivarius professional trombones. The collection was developed in collaboration with world renown trombone artist Massimo La Rosa, principal trombone the The Cleveland Orchestra. The new A47 is completely modular system allowing each player to customize the Artisan trombone to meet their own playing needs. The 8-1/2" one-piece hand-hammered yellow brass Bach Artisan bell will define the symphonic sound for generations. The .547" large bore offers a warm sound, great projection, and most efficient feel. The new reverse main tuning slide construction offers a more open response. The chrome plated nickel silver inner handslide tubes provide the ideal surface for smooth and quick handslide action. The clear lacquer finish adds a subtle warmth to the sound overall. 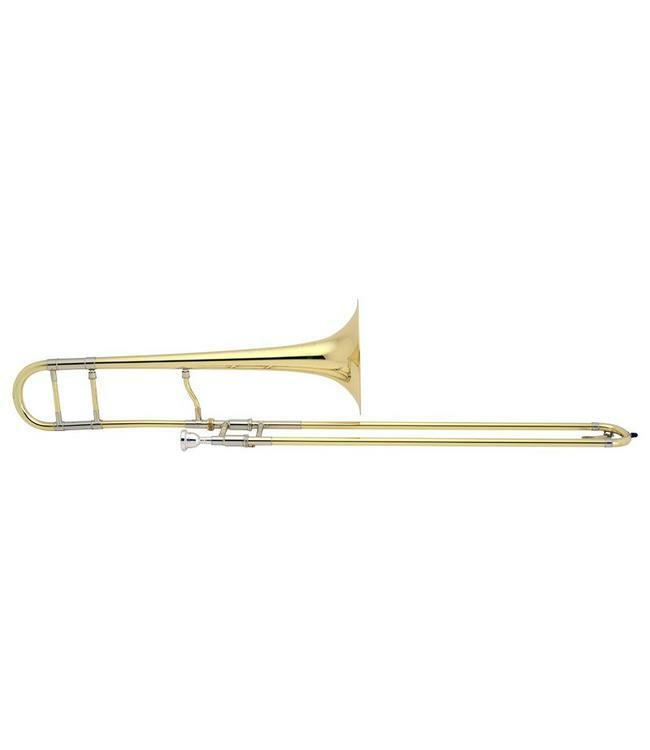 The Bach Stradivarius A47 professional trombone is ideal for both symphonic and solo performance.